Sacrificing some of your favorite foods doesn’t have to be part of your New Year, new you strategy. In many dishes, it’s the sauces that pack on the calories you’re trying to avoid. Instead of ditching those dishes completely, look for swaps that let you enjoy delicious, better-for-you dinners. Pasta is notoriously a diet danger zone, but dressing up the noodles with plenty of flavorful ingredients and switching out dense, high-calorie sauces for tasty substitutes will let you keep enjoying savory pasta dishes while you work toward a healthier lifestyle. 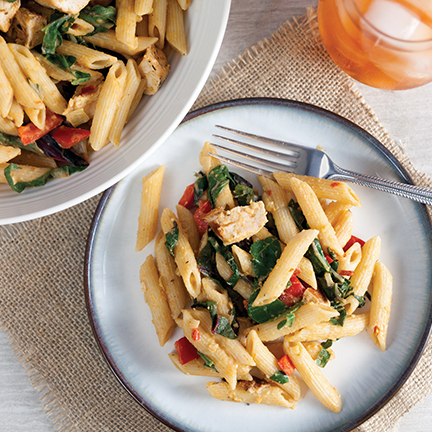 Even creamy pasta recipes are possible with the right substitutions. In this Creamy Tomato Ranch Pappardelle with Caramelized Onions recipe, thick cut pappardelle noodles are tossed in a creamy tomato ranch sauce made with Sabra's Farmer's Ranch Greek Yogurt Dip for a healthier version of a decadent dish. 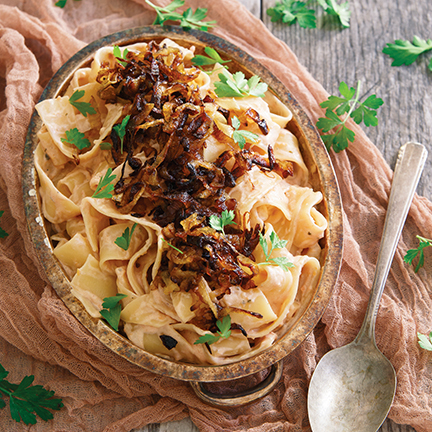 Or for a delicious dish with a spicy kick, try this Spicy Chipotle Hummus Pasta, which gets its rich and creamy flavor from swapping traditional pasta sauce for Sabra’s Chipotle Hummus. 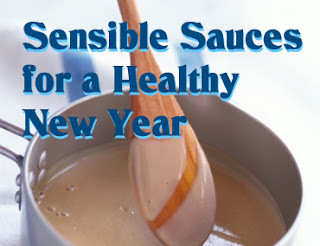 Find more creative ideas to swap your way to healthy eating at sabra.com. Bring large pot of water to a boil. Cook pasta according to package directions. Drain. Meanwhile in small bowl, mix paprika, oregano, thyme and salt. Rub spice mixture over chicken breasts. In large saute pan, heat olive oil over medium-high heat. Add chicken and cook 5-8 minutes per side, or until cooked through. Remove from heat and cut into bite-sized pieces. Turn burner to low and return pan to stove. Sweat garlic and onions for 5 minutes, or until softened. Turn heat to medium and add red bell pepper. Cook for another 5 minutes, or until soft. Slowly stir in chicken stock and hummus to form a creamy sauce. Add Swiss chard. Cover and cook until wilted, 2-3 minutes. Stir in drained pasta and cooked chicken. In large skillet over medium-high heat, warm olive oil. Add onions; reduce heat to medium and cook until caramelized, about 45 minutes, stirring frequently. Place Greek yogurt dip and tomatoes in food processor and process until fully incorporated. Set aside. During last 10 minutes of onions cooking, bring large pot of salted water to a boil. Add pappardelle and cook until al dente according to package directions (about 8-9 minutes). Drain pasta then place back in pot. Immediately add tomato sauce mixture to pot and toss until pasta is coated. Transfer to serving dish, top with caramelized onions and garnish with parsley.